WATERPROOF - The thin but durable rain coat is strong and resistant to water and humidity. 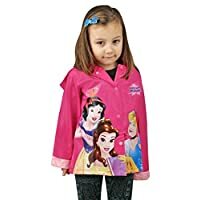 Excellent good protector for children outdoor in rainy days, includes a hood for extra protection. SIMPLE SNAP CLOSURE - Convenient snap closures with brightly colored snaps are easy to spot, fasten and unfasten, so kids can quickly and easily change in and out of their rain coat on their own. Easy-Clean Materials - To clean - simply wipe down with a damp cloth as needed. 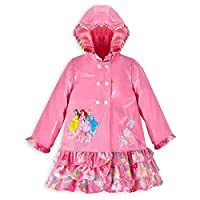 LIGHTWEIGHT & COMFORTABLE - The thin lightweight rain coat fits easily over his or her clothing and has a thin lining to keep your child comfortable in the rain. LIGHTWEIGHT & COMFORTABLE - The thin lightweight slicker fits easily over his or her clothing to keep your child comfortable in the rain. WATERPROOF - The thin but durable 100% vinyl rain slicker is strong and resistant to water and humidity. 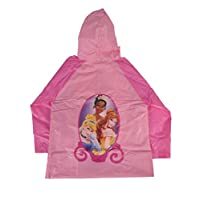 Excellent good protector for children outdoor in rainy days, includes a hood for extra protection. SIMPLE SNAP CLOSURE - Convenient snap closures with brightly colored snaps are easy to spot, fasten and unfasten, so kids can quickly and easily change in and out of their rain slicker on their own. WATERPROOF - The thin but durable 100% vinyl raincoat is strong and resistant to water and humidity. 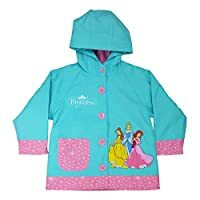 Excellent good protector for children outdoor in rainy days, includes a hood for extra protection.